“WINE IS …..” A VISUAL JOURNEY THROUGH A THOUSAND SHADES OF EMOTIONS... An artistic and photographic journey inspired by the many ways of defining wine, set in the picturesque setting of Canevel Spumanti on the slopes San Biagio di Valdobbiadene. This photographic exhibition displays some of the ways of defining wine via images that hold the viewer's gaze with a poetic message. Wine is Earth, Time, Heat, Love, Anticipation, Culture, Passion, Teamwork, Toil, Birth, Food, Perfume, the Sharing of Joy ..... Each one of us perhaps has a different sensitivity to the fascination of wine. Love for the land and the sun, respect for nature, experience, tradition, passion, but above all the passage of time that slips through the seasons accompanying wine from birth to perlage are the most relevant aspects of this project, conceived and curated by photographers Andrea Marchesin and Dario Camilotto. Dario Camilotto was born in 1972 and now lives in Treviso. A tireless traveller, from 1999 to 2000 he worked with the travel magazine "Marco Polo", publishing photos and articles on travel. In 2001, New York became his second city. In 2002 he collaborated with the exhibition "Suicide in Tokyo" by Japanese artist Nobuyoshi Araki at the Italian pavilion at the "Giardini della Biennale" in Venice (www.labiennale.org). From 2005 to 2008, he curated a series of photographic exhibitions in Bologna with up-and-coming photographers. He also writes about novels and music CDs. Andrea Marchesin was born in 1975 and lives in Treviso. He has been passionate about photography from a very early age, and after extensive experimenting over several years, he now works as a professional. He is passionate about white and black photography, and his mastery of the web world has led him to use it to make his own skills known, and to compare his work on the vast specialist community sites including Nikon Club, Juza, ZM, BW Soul, etc. He has been well received and critically acclaimed. Many of his photos have been published in specialist journals and daily papers, and during the last three years he has been working on a project on street photography in the main European capitals, without aiming to narrate each city from an anthropological perspective. The exhibition will open on Saturday, May 2, 2015 at 18:00. Attendance by invitation only. Booking is essential. From Monday 4 May 2015 the exhibition will be open to the public at the head offices of Canevel Spumanti Valdobbiadene every Monday, Thursday and Friday between 9.00 and 12.00 p.m. Please book your visit. The exhibition and the winery will be closed throughout August. Canevel Spumanti was established in Valdobbiadene in 1979 by Mario Caramel e Roberto De Lucchi. From the beginning, the company’s most important aim has been to maximise quality, and this has been happening bottle after bottle for thirty-five harvests. 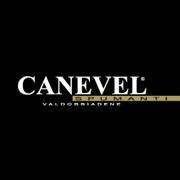 Today, we produce almost one million bottles, of which 85% is distributed throughout Italy, making Canevel one of the country’s leading producers of sparkling wines. The company is now aiming to develop its foreign markets even further. Mario Caramel, a wine trader from Oderzo, and Roberto e Lucchi, fresh out of the Conegliano School of Oenology, founded Canevel Spumanti in 1979. Their desire to forge new paths in search of a quality sparkling wine was immediately recognized and appreciated throughout Italy. At the time, no-one vinified on-site the wine for their own bottles, but from the start, their tenacity provided huge rewards. In Venetian dialect, a "caneva" is a cellar, and the "canevel" was the recess in the "caneva", where the farmer kept, locked up, the best of his wines. Thirty-five vintages on, the little cellar has expanded and today the 950,000 bottles produced each year, are considered to be among the best produced in Valdobbiadene. Established in a small rented workshop in Santo Stefano di Valdobbiadene, it took just a few years before it was necessary to find somewhere more spacious, a temporary abode in a more centrally located area close to Villa dei Cedri in Valdobbiadene, a C19th former industrial building which every year hosts a national fair featuring sparkling wines. Since 2000, Canevel’s permanent home has been in San Biagio, near Saccol. Set in enchanting surroundings within a fairy ring of hills, it has winery which uses cutting-edge technology and happily combines workforce, wine, innovation and the land. The Valdobbiadene area is now where all the company’s production and commercial policies are focussed. Since the harvest of 2009, licence to produce Prosecco DOC has been awarded to a vast area that includes Friuli Venezia Giulia, and the greater part of the Veneto with the exclusion of the provinces of Verona and Rovigo. This vast area gives plenty of scope for many interpretations of single grape varieties which lose their typical qualities derived over time from being cultivated in the hills around Treviso. Only by protecting the area where the wine is made in traditional ways, which now benefits from DOCG (Registered and Certified Designation of Origin), can decades of work that have made our grape variety famous throughout the world be preserved. It was no accident that Canevel, in 2003, was the first company to eliminate the term prosecco from its label, and to name its sparkling wines simply as Valdobbiadene, provoking an outcry and being branded as “dissidents” by the local press. After the untimely death of the founding Company Chairman in 1999, the torch was passed to his son Carlo Caramel who with Roberto De Lucchi as wine technician, and Roberto Covre as Commercial Manager, continues to run the company. Together, they now pursue the original philosophies of the company, perpetuating the excellence achieved in the last 34 years, and still looking to the future with great optimism. Today the country is covered almost entirely by a sales team of about 70 representatives. In fact, the Company’s commercial attentions are focussed on foreign countries more able than others to recognize the quality of sparkling wines made from Glera grapes and therefore more inclined to appreciate their distinctive qualities - Germany, Switzerland, Austria, UK and USA in particular. Significant achievements have been made in northern Europe. Although China, Russia and Central and South America are open to the world of Prosecco, they are still unwilling to pay more for better quality wines. Today, as well as persevering in the pursuit of quality by improving technology and developing innovative expertise in the Charmat method of fermentation, the Company is also focussing its attention on products derived from organically grown grapes with extremely low levels of added sulphur dioxide. With the next harvest, the Company expects to be ready to market an organic product, of great quality without sulphites, and without any of the defects of oxidation that still characterize similar products.